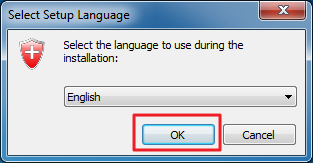 Select setup language,and click the "OK" button to continue. 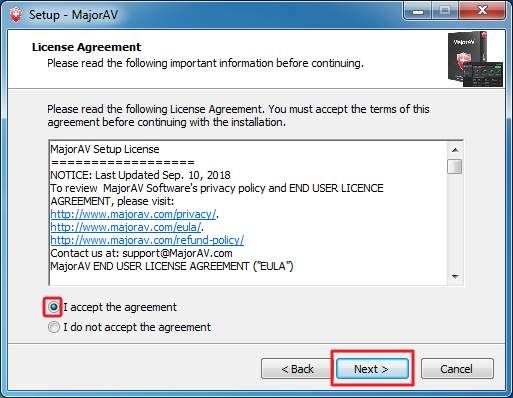 Tick "I accept the agreement" and then click the "Next" button to continue. 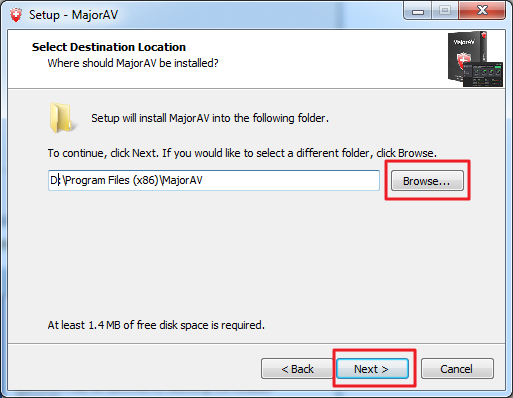 Click the "Browse" button to choose the destination location, and then click the "Next" button to continue. 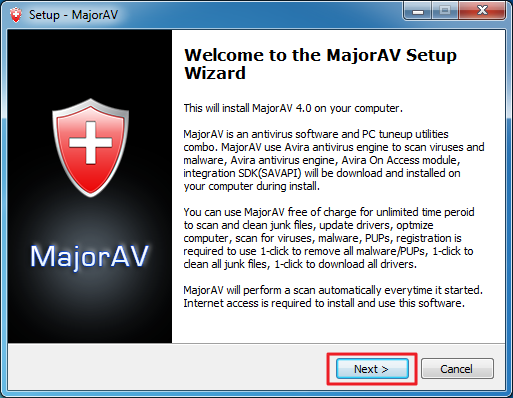 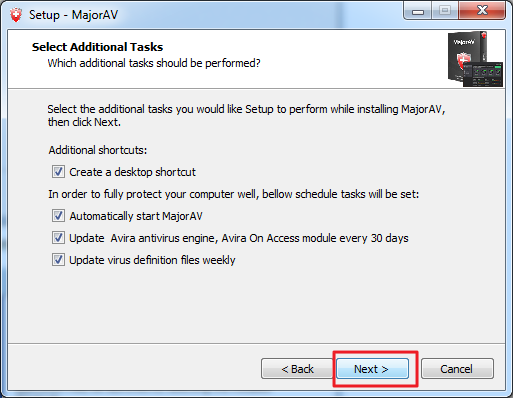 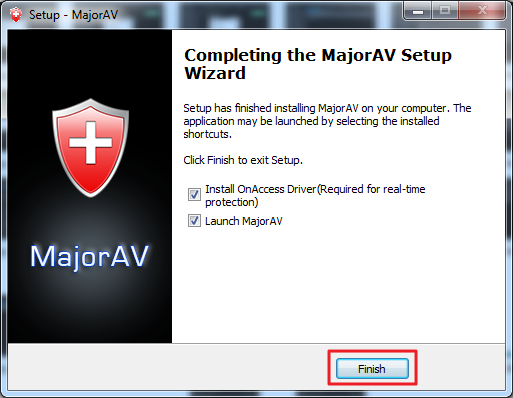 Select the additional tasks you would like to perform while installing MajorAV,and then click the "Next" button to continue.